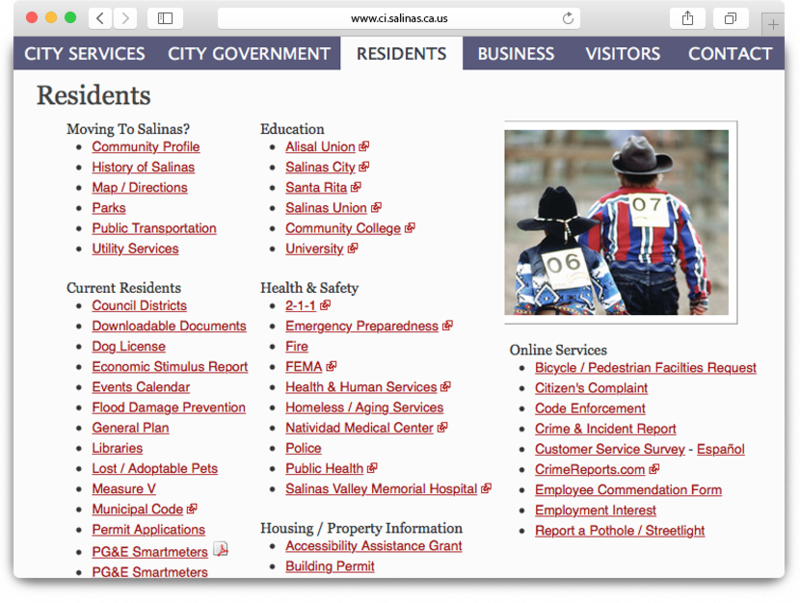 The City of Salinas requested a re-brand of their website, along with the inclusion of a content management system for staff to utilize through daily business operations. 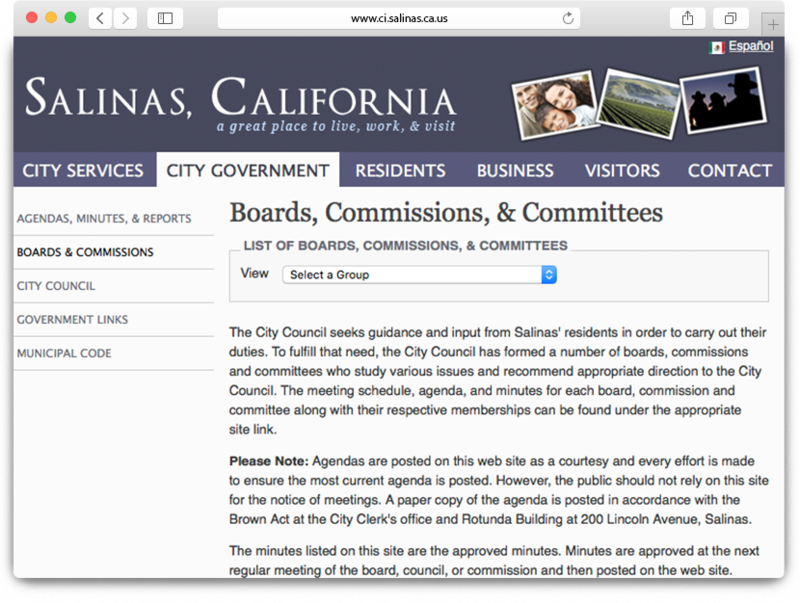 I worked directly with a third-party company to implement translation services on all-web based content at the request of the City Council. 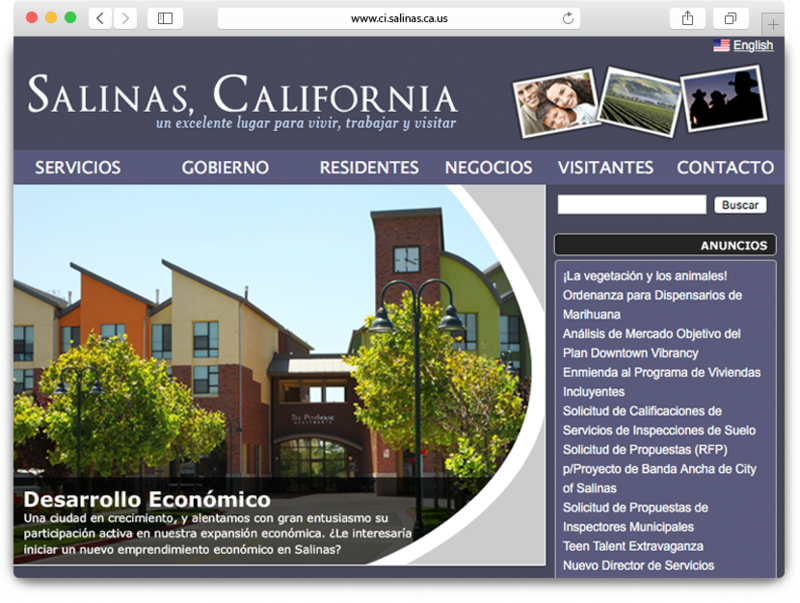 In 2009, when the site re-design was launched, it was named one of the “Best Designed and Developed ColdFusion Websites in the Country”.